The role of a Butler London is a very important part of a household. The role may often be combined with that of valet, waiter and sometimes chauffeur. They may be required to be responsible for the management of other domestic staff as well as themselves also taking on some domestic duties. Complete discretion is expected as the butler often has privileged access to their employer. Impeccable manners and consistent high performance of duties are pivotal to a successful career in this position. Being a butler is a role where first class references are absolutely essential. Salarys range from £ 25,000 – £50,000 per annum. A Butler’s London responsibilities can encompass more than one household. If the duties include the supervision of other domestic staff in one or more households, they are often referred to as a house manager. The butler may be required to organise other household staff such as a housekeeper, cook and maids as well as gardeners, chauffeurs and even maintenance teams. Alternatively, the butler may be the sole employee in a smaller household in which case they could be expected to carry out light cooking duties and act as a valet and personal assistant. In the majority of households- regardless of size, a butler will answer the family telephone, receive guests at the front door and supervise the reception of all visitors. Butlers must always be adaptable and flexible, ready to take on new responsibilities as and when the employer feels it is an integral part of the role. Every butler must the byword for common sense, patience, expertise and is always discreet. Being a butler means that they are friendly but not familiar, recognise the need for privacy and confidentiality and be invisible yet available. 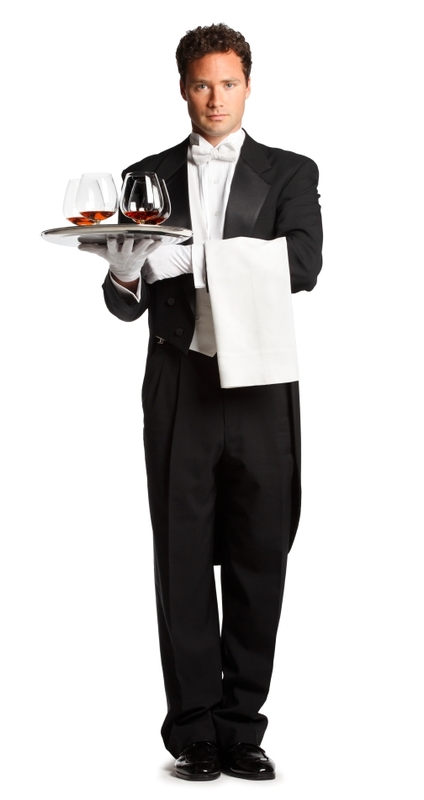 The greater the responsibilities and experience, the greater the salary package a butler should be able to achieve. For all butler’s, London is an incredible place to be part of a sophisticated and highly organised household.